Every festivals bring our life into a state of cheerfulness and verve. Festivals are centering on some specific traditions of a community or religion. Such celebrations also make sense of belonging for particular group or religion. Festivals also gives important message to every human that to approach life in a celebratory way, be absolutely involved in a non-serious way. Here the top magical and unmissable festivals in the world. It is the largest ice and snow festival in the world take place in Harbin of Heilongjiang province of China. This festival is officially held from January 5 to February 5 every year. The festival features international competition of ice & snow sculptures, illuminated buildings made from huge ice blocks, winter swimming in Songhua river, ice lantern show, ice sailing and speed skating. Harbin ice and snow festival announced as an annual winter event on 5th January, 1985. As Harbin city generally has Arctic like climate it offers abundant natural ice and snow, recognized as cradle of ice and snow festival in the country. This festival also promote tourism in Harbin city, attracts thousands of foreign visitors every year. Only top three winners from three events (NationalCollegiate, Masses ice sculpture competition and Heilongjiang province collegiate of international ice and snow festival) can participate in annual snow and ice festival. Ice blocks are taken from frozen Songhua river for the construction of sculptures. Artist uses architectural style of different buildings and monuments for the creation of ice sculptures. Multicolored lights are also used for illuminating the enormous ice buildings at night. 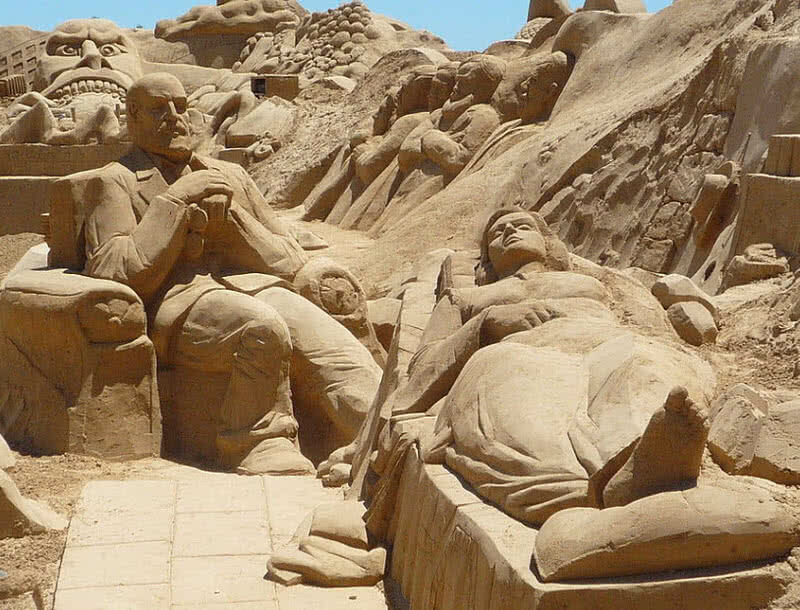 International sand sculpture festival or FIESA is the largest sand sculpture event in the world. FIESA has been held Algarve region of Portugal since 2003. This festival presents 50 towering sculptures each year that are made from about 40000 tons of sands, carved by 60 artists from all over the world. Each year FIESA festival features a specific theme for creation for sand sculptures. The theme for FIESA depends on local traditions, popular cultures and mythology. It is one of the most important events in Taiwan which held on first full-Moon night of every Lunar year. The Pingxi district of Taiwan decorated with thousands of sky lanterns lights during this festival. The main lantern at the festival have theme of Chinese zodiac sign of respective year. 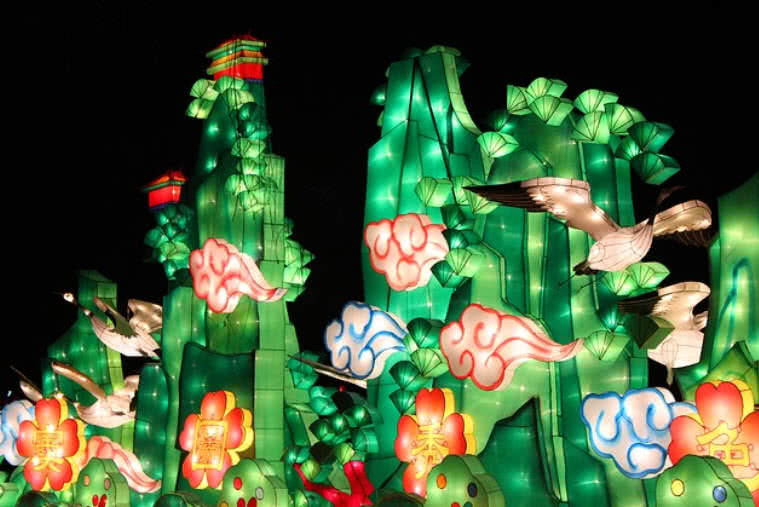 The large lantern installations shows resemblance with many animals like dragon, dinosaurs and butterflies. At same time the smaller lanterns represents most important historical events. The celebrations of this festival also include lantern making, lantern riddle games and firework displays. Carnival of Venice is one the biggest festivals in Italy. In Italian this festival is known as Carnevale di Venezia , also called as Carnevale. This event is much known for it’s elaborate masks. Masking is just a carnival tradition and main feature in the event. This festival was started in the year 1162 after Serenissima republicca (Today it is Republic of Venice ) Patriarch of Acquileia (Ancient Roman City). But in 17th century this festival got declined under the rule of King of Austria and reappeared in 19th century. 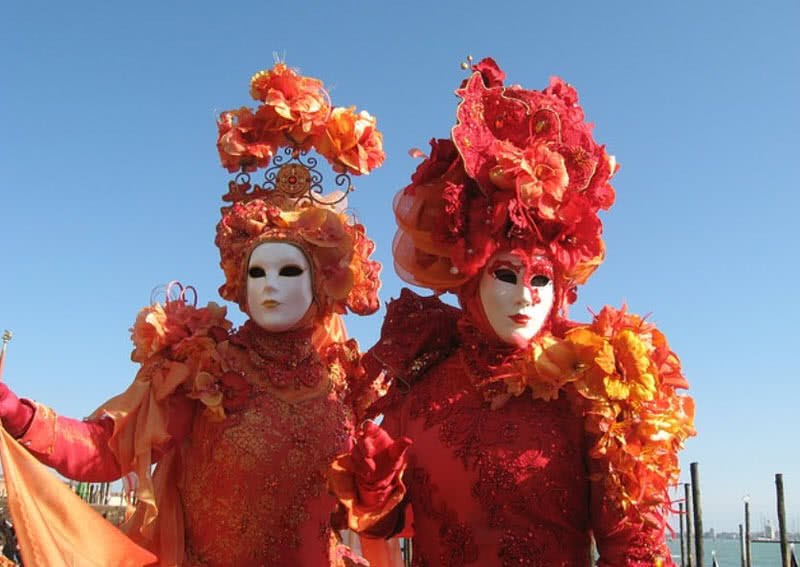 Today Carnevale is one of huge celebrations in Venice, a two week long grand event. People put on mask at the vent and throws perfumed eggs at other people. Carnevale also presents several distinct styles of mask. The Venetian mask makers also have special position in the community. Carnival of Venice also include concerts, different types of street performances and candle-lit boat parade. It is the biggest hot air balloon festival in the world that take place in Albuquerque of New Mexico, held during early October since 1972. It is a nine day long event and around 600 balloons will be taking flight during the event. The balloon fiesta park covers a vast area of 365 acres and the launching filed alone encompasses 72 acres of land. It is the largest annual event in US and the most photographed event in the world. 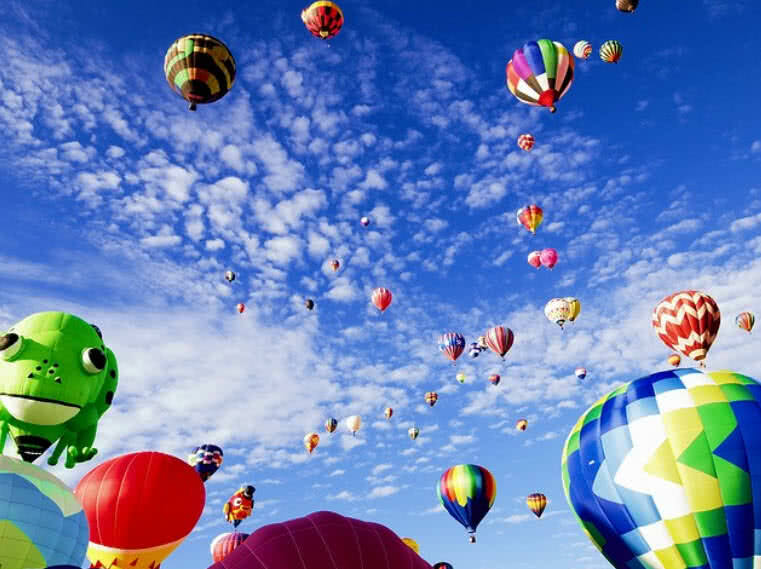 In 2011 Guinness Book of World Records recognized this event as mass hot air balloon ascent. Albuquerque balloon fiesta offers rare opportunity for the guest to watch inflation and take off of ballooning from the launching filed. The first Albuquerque balloon event was took place in 1972. In fact it was a promotional event for 770 KOB Radio. Albuquerque balloon event features five different types of event known as dawn patrol, mass ascensions, artistic vision, special shape rodeo and balloon glows. Mass ascensions in one of the biggest events of Albuquerque balloon fiesta, launches 500+ balloons at a time. Special balloon events also take place during this festival. Flight of Nations is one of such event, different Nations around the world launches hot balloons and each balloons carries it’s country’s flag. 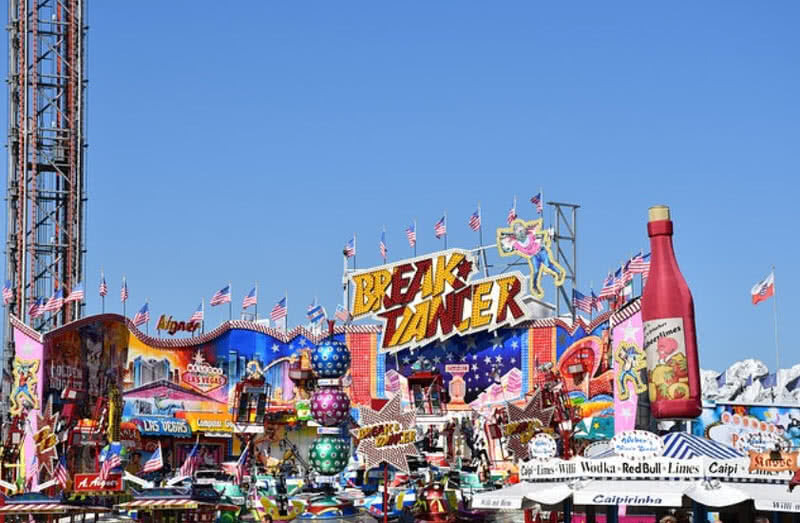 Oktoberfest is the largest funfair in the world take place in Munich City of Germany, during last week of September to first weekend of October. Every year more than 6 million people around the world attends Oktoberfest. Only six breweries in Munich are allowed to serve beer for Oktoberfest that are Paulaner, Spatenbrau, Lowenbrau, Hacker- Pschor-Brau, Augustiner-Brau and Hofbrau-Munchen. This festivals also includes attractions like amusement rides, games and variety of traditional food for the visitors. The first Oktoberfest held on 12th October 1810, in fact wedding feat of King Ludwing I and Therese of Saxe-Hildburghausen. Untill 1892 traditional beer steins made of stone and metal were used for serving beer during Orkoberfest. Later those old fashioned mugs are replaced by modern glass. Every year more than 7 million liters of beers are consumed by the guests during Oktoberfest. La Tomatina festival held on last Wednesday of every August in Bunol town, in Spain. During this event participants around the world throw tomatoes each other. For the safety of participants city council follows number of rules for La Tomatina festivals such as participants of this festival recommended to wear goggles to protect their eyes and they demand to throw only squashed tomatoes on others to avoid injuries. Every year one hundred metric tons of tomatoes are thrown during La Tomatina festival in the streets of Bunol. La Tomatina start with an event called ‘palo jabon’. The goal of this event is climb a greased pole and drop ham from it’s top. Once someone from the group of participants succeed in this event authorities gives signal for the start of tomato fight. Water from trucks also being fired into the air from all corners of the street. At that time number of trucks will arrive at the street and provide tomatoes in abundance. Tomatoes for this festival are imported from Extremadura, one of divisions of Spain. The week long La Tomatina festival also features music, dance, parades and fireworks. Holi is known as festival of colors celebrated by Hindus all over Asia and also by the people from some parts of Europe and North America. This Spring festival is mainly observed in India and Nepal. Holi is regarded as one of most important and vibrant festivals in India. This festival commemorate the victory of good over evil. Holi also marks the arrival of Spring, a season of hope and enjoyment. The tradition of colors in holi festival linked with stories of Lord Krishna, who play parks on his beloved Radha by drenching her in colors and water. 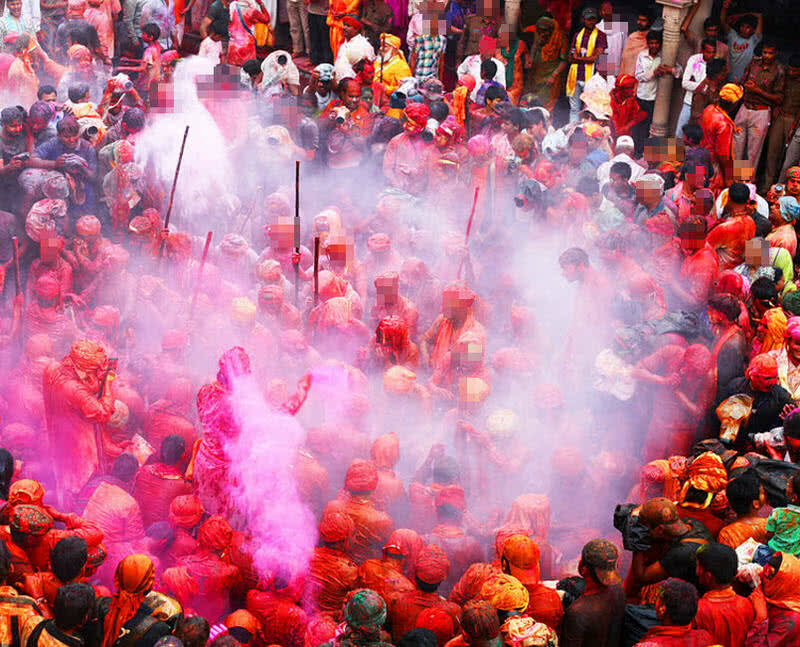 Holi celebrated on day after the full Moon in March of every year. The celebrations of Holi festival start with burning of Holika, represent the death of evil. Everyone love to drench others with colored water and dry powder at the time of Holi. Colored water filled balloons and waters guns are also used by the people for ‘water fight’ during Holi festival. People also visit houses of theirs friends and relatives and share sweets and other food items. Burning Man is a week long annual event take place in black rock desert of Nevada, US. This globally popular event taken it’s name from burning of large wooden sculpture. Every year Burning Man festival starts on last Monday of August and ends on first Monday of September. Every year more than 50000 people gathered together for this event create a temporary 1.5 square mile settlement, dedicated to community, art, self expression and self reliance. Participants show off different works of art, create temporary city, make friends and hangout together. At the end of the festival they depart black rock city without leaving a trace whatsoever. Burning Man festival encourages every participants to discover and rely on his/her inner sources. Participants of Burning Man festival will also learn value of cooperation and collaboration. At same time they also preserve the spirit of gift giving. The leaving no trace ethic of Burning Man festival represent our commitment to leaving no physical trace of our activities in the surrounding, to keep places in safe and better state. 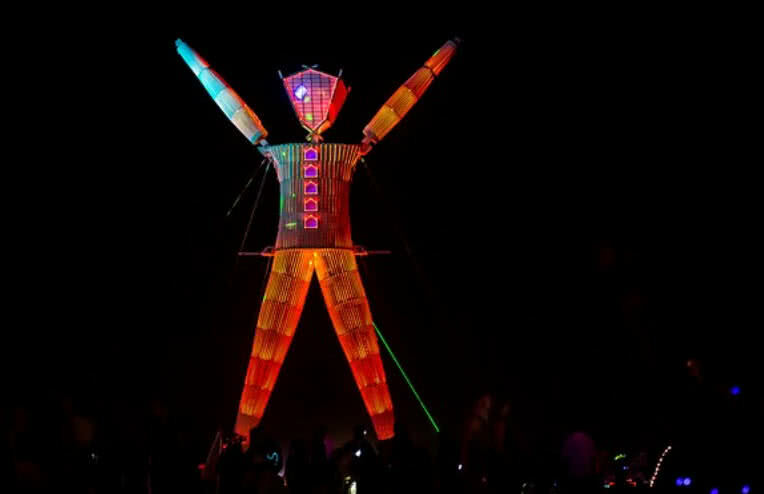 Great variety of arts appears during Burning Man festival, found as a gift from artists to the community. The art section of the festival include small to large scale installations. The mutant vehicles are another important attraction of Burning Man festival, stunningly and permanently modified motorized vehicles. Participants have to submit their design ideas in advance to bring their mutant vehicles at the event. Rio Carnival is considered as the biggest carnival in the world, a five day long celebration held on 40 days before Easter every year. Rio carnival is officially start on Friday and end on Fat Tuesday, day before the start of Lent. There are around 2 million people on the street of Rio de Janeiro during this carnival. Rio carnival also sum up the true culture of Brazil. People can sing, dance and have lots of fun during Rio carnival. Samba parades are one of most important events of Rio carnival, features more than 200 Samba schools. The participants of Samba parades have to pick up specific theme, music, lyrics and costumes. Every group have to follow a specific order and to present choreographed dance in fancy costumes. 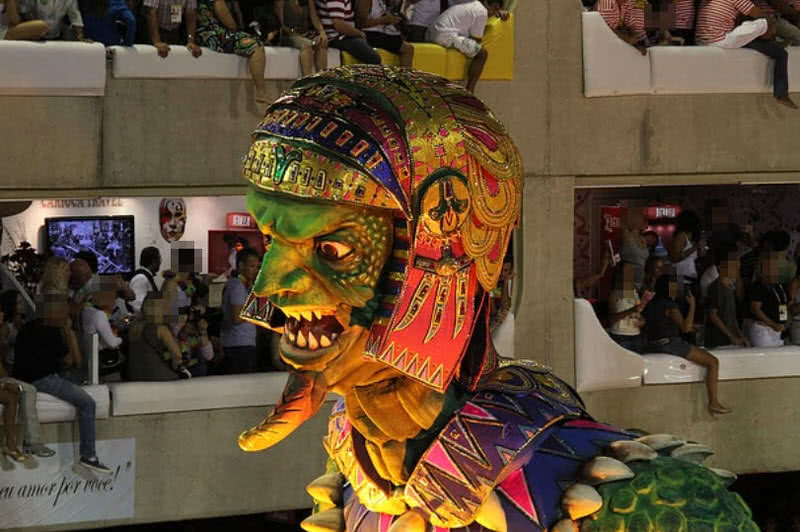 Samba schools practice all year around to be succeed in parade during Rio Carnival. More than 300 street bands also participate during Rio Carnival. Each bands have their own place to parade.